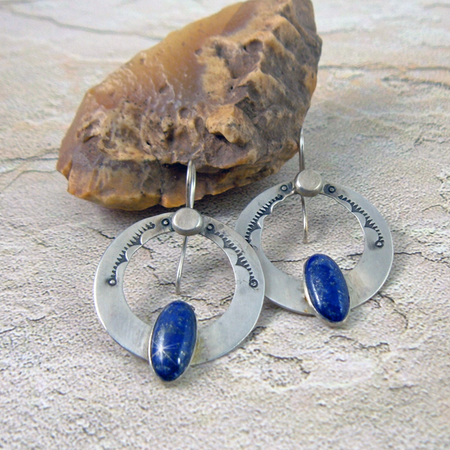 Gemstones of Lapis accent these sterling silver hand stamped hoop earrings. Handcrafted hoop earrings have a way of complimenting the frame of your face, your hairstyle, and wardrobe. Not only are these earrings attractive in their timeless style they are so very comfortable to wear. They don't weigh down your earlobe or catch on your clothes. You'll want more than one design of these artisan handmade hoops.